I'm been doing my part to popularize Indian food lately. We made new friends in the dog park and invited them over for an Indian brunch of dosa and egg burji and such. They enjoyed the food and asked if I would teach them to cook a few Indian dishes. Nothing would make me happier, of course, and our first lesson consisted of rajma, pulao with lots of vegetables and some hard-boiled eggs, and koshimbir. They practiced that meal a few times (texting me pictures- they got an A+ each time) and then they wanted another lesson. So we got together yesterday and made a big pot of matar paneer. Normally, I'd have put up some jeera rice to serve the curry with, but then I thought I'd try out a recipe for naan from a new bread book I'd been sent to review. 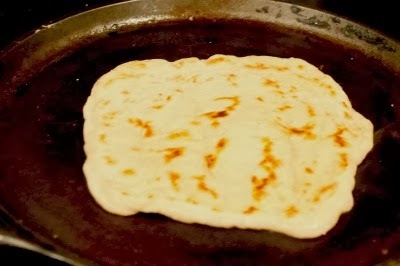 I'm notoriously bad at making flatbreads and I've already shocked many readers by revealing in this post that I buy tortillas rather than rolling my own rotis. So this whole naan exercise was an experiment to say the least. The book in which I found the naan recipe is the latest one by Jeff Hertzberg and Zoë François- they specialize in artisan bread in five minutes a day. The general idea is this: you mix the usual suspects- flour, water, yeast and salt without any kneading (just a quick mixing) and let the dough ferment for only a couple of hours or so on the counter top. Then cover the dough and stick it in the fridge. Later that day or over the next several days, you lop off a chunk of dough, let it rise again for a while and bake a fresh loaf. The process can be seen in this video. This method making bread making accessible because there's very little effort involved in making the dough and when you have the dough ready, fresh bread can be made even on a weeknight, say. Hertzberg and François have adapted this general method to all sorts of doughs that in turn make a mind-boggling variety of breads. For instance, there is an olive oil dough that is perfect for pizza and focaccia, a rich eggy brioche dough for breakfast pastries and a 100% whole wheat dough for sandwich bread. I think I'm going to be baking my way through most of this book over the next few months! 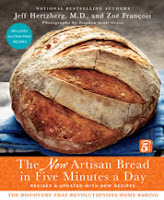 The New Artisan Bread in Five Minutes a Day book starts with a detailed description of the method and all sorts of tips for trouble-shooting. There is the basic master recipe which can be shaped into all kinds of artisan breads like baguette and ciabatta. Then there are chapters on flatbreads and pizza and enriched breads and pastries and a whole section devoted to gluten-free breads. Let's circle back to the naan, which in my understanding is a flat bread that is usually made with white flour, leavened with yeast and cooked in a blazing tandoor oven, giving it puffy blistery spots and a smoky taste. In this recipe, I used the light wheat dough from The New Artisan Bread, which has a bit of whole wheat but still mostly white flour, and the naan is cooked on a hot cast iron tava, which is a very convenient way for a home cook to make it. I'm noting down the recipe as I made it, but the book has lots of details that I can't possibly cover in this post. 2. The dough will be very wet and sticky- that is OK. Cover the bowl with a clean dish towel and let it sit at room temperature for 2 hours or until it rises and collapses. 3. Cover the bowl with a lid (not an airtight one) and store in the fridge. From this point, you can use the dough any time within a week. I left it in the fridge for only 6 hours or so. 4. Later when you want to make the naan, heat a cast iron griddle. Divide the dough into 8 portions, roll each one with floured hands into a round, and pan-fry with ghee. My addition was to press poppy seeds into the rolled-out naan- it makes them even tastier...and reminds me of naans served in restaurants. The recipe suggests covering the pan to cook the inside of the naan, but I left it uncovered. I clearly still need practice to roll out dough but the naan-making was a success. The fresh puffy naan was simply a delight to dunk into curry and savor while still hot. If you're scared of working with yeast, would be a simple recipe to dip your toes into the world of bread-making. Disclaimer: I was sent a review copy of THE NEW ARTISAN BREAD IN FIVE MINUTES A DAY: The Discovery That Revolutionizes Home Baking at no charge. All opinions expressed in this post are my own. This next part of the post may result in lots of additions to your (probably already teetering) to-be-read pile, I'm just warning you. Two book blogs- Regular Rumination and Sophisticated Dorkiness are hosting Nonfiction November, a month devoted to non-fiction books. I've been observing from the sidelines as several bloggers shared their favorite non-fiction reads in Week 1. Week 2 was "Be the Expert" as bloggers shared lists of books related to particular topics that interest them. 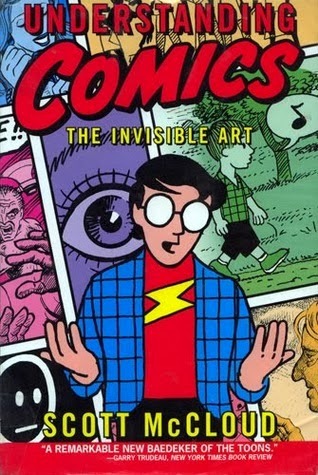 comics/graphic novels at all, you should read Understanding Comics by Scott McCloud. It is an absolutely brilliant look at the history of comics and the art of cartooning. I don't even like comics that much but McCloud's book is just so fascinating that I will be reading many more. Also this week, I've been reading a book about books; a non-fiction book about fiction. It is called The Novel Cure: From Abandonment to Zestlessness: 751 Books to Cure What Ails You by Ella Berthoud and Susan Elderkin. The writers are bibliotherapists- meaning that they prescribe novels to help a reader deal with the particular situation that they're facing. I can't for the life of me tell if this is an actual profession but it well could be- maybe there is a licensing exam and everything. The premise of the book is that while there are self-help manuals for all of life's problems, sometimes the pages of a novel can offer help in the form of a literary character facing a similar situation, or by simply transporting you to a different setting for a welcome respite. As gimmicky as the book is, I spent several hours flipping through it in delight. Among their prescriptions, I found some books that I've read and liked and I agreed with their application, so to speak. In parentheses are quotes from the book. Cure- Empire Falls by Richard Russo: "If..."surviving not thriving" is pretty much your MO, let Empire Falls suffuse you with a rueful understanding of the perils of inertia". Cure- Family Matters by Rohinton Mistry: "Family Matters is a wonderful example of how to look after one's aging parents with compassion- and how not to". Cure- We Need to Talk About Kevin by Lionel Shriver: "If you are sick of justifying your childlessness...send them this novel for Christmas. They won't ask you about it again". Cure- Middlesex by Jeffrey Eugenides: "Eugenides's generous expression of Cal's character shows how full and uncontainable the human personality is, how much it exceeds commonly assumed boundaries". Cure- Like Water for Chocolate by Laura Esquivel: "If you, too, find it difficult to say, "I love you", try saying it with food". Cure- The Secret Garden by Frances Hodgson Burnett: "Let this novel lure you from your bed to find your own secret garden". There are 751 novels listed in this book, the vast majority of which I have not read, but the weird thing is that most of the descriptions sounded depressing, or just not very inviting for some reason or other and only a few novels made it onto my TBR list. "The Birth of Love by Joanna Kavenna tackles head-on the varied nature of childbirth through four interweaving stories". This book is prescribed as a cure for childbirth. And here I thought there was only one cure for childbirth and that is to birth the child! Prescribed as a cure for despair: "...Alone in Berlin teaches us that sticking tenaciously, proudly, defiantly to our sense of what is right and true is enough- and the only fail-safe cure for despair that there is". This book is written by Hans Fallada. Something Wicked This Way Comes by Ray Bradbury is prescribed as a cure for dread. "...you are hooked. You have to know". Although Bradbury has a reputation for intensifying dread rather than alleviating it, but now I really have to read this book. I Capture the Castle by Dodie Smith is recommended as a cure for writer's block. I will read it and see if this cure works for me. The book has a list of ten best novels for thirtysomethings, and I felt like I had to choose one to read: The Tenant of Wildfell Hall by Anne Bronte. Do you read much non-fiction? Got any favorites to share? I used to be a HUGE Calvin & Hobbes fan--I really miss them! Did you know that there is a new documentary about Bill Watterson out now--I think it's called "Dear Mr. Watterson". Also--the book "We Need To Talk About Kevin" is a very thought-provoking book, but also a very disturbing one. I think it's true that reading it could give someone second thoughts about having children! My husband has a pretty large collection of Calvin and Hobbes! We Need to Talk About Kevin was indeed one of the most disturbing books I've ever read. Isn't it such joy to teach people how to cook everyday Indian food? I especially love it when they look in amazement at how they actually created something as "exotic" as pulao in their own kitchen! Your book posts and recommendations have made me fill my library bag lately and I can't be happier. We've been having the best weather to cuddle up with a good book and some hot cocoa lately. It is indeed fun to let friends discover how easy it is to cook everyday Indian food. Meena- I'm so so glad you're enjoying reading lately. Nothing better to cheer oneself up on dull winter days. The best thing about the naan is there's no rising time and no oven pre-heating, just pull out the dough, turn on the stove and viola- naan :) I'll have to read both those books you recommend- thanks! I have read it!! My husband got it as a farewell gift from a friend (strange but the friend had a whacky sense of humor). And yes, I definitely recommend it. This one's already on my TBR- will bump it up and try to read it soon. i mainly read non fiction. only recently started getting back into fiction with the jack reacher series. one of my favourite books both for the style of writing and content is 'The man who ate everything' by Jeffrey Steingarten. currently reading mark twain's biography and that is also very good. The Man Who Ate Everything has been on my TBR list for ages- I really should read it soon! good to see your post. i was wondering if you were well because when i dropped my daughter to preschool today, a couple of teachers were sniffling. it is so good to hear you taking time out to teach about indian food. i have been thinking of trying the 5 min bread book for a long time now. i will surely give it a try now. Not trying to promote but I recently blogged about the cardboard play kitchen I made for my daughter. I thought you might like it as Lila loves to cook too if you haven't already made/bought a play kitchen for her. My daughter absolutely loves the kitchen. I have a plastic play kitchen for Lila (got it off craigslist) but it is in the porch where's it too cold to play at the moment. I've been meaning to make her a play kitchen from an old entertainment center or an old nightstand- have you seen those? I just sent you a pin about a DIY play kitchen from an old entertainment center. Oh these are the few times when I wish I had a girl! My son would just use it for playing crash with his cars! Yes I have seen play kitchens made from entertainment centers. Those look so beautiful. I just wanted a temporary kitchen because we dont know when we will be moving. Nikita- your kitchen is fabulous and a great temporary solution. Could even be packed flat for moving, I guess! Nupur - I tried not to encourage gender centric play for my boy. But it so happens he likes 'crashing' stuff than constructing anything. He may not like a play kitchen but I am making sure he develops a real interest for cooking in the kitchen! Sangeetha- I also have a child who gets in her toy car and crashes into everything deliberately including the poor dog :( so you certainly have my sympathy! I remember you had blogged about their first book and the no knead bread a few years back. You always make entertaining look so easy and effortless. I for some reason get very harried and stressed about having people over. A couple of mishaps in the past have also contributed to this. R- those are some great ideas!! Anu- I have lots to say about this and in fact, it might be a good idea for a post, so I'll talk about it next week. Yes, I would love a post about hosting. I get so harried about everything being perfect and trying to make something for everybody that I miss out on the companionship. Also cleaning the house before guests come...ugghh! Would love your insight and that of other readers.! Yes, letting go of perfection is steps 1 through 10 ;) I hope the next post will be a nice conversation on this. Ah, feel good that I'm not the only one who struggles with this. Looking forward to reading your post. R, I like your tips and I did this once, made two dishes the previous day and unfortunately our fridge broke down during the night and both dishes were ruined by morning. Now, my logical mind knows the chances of that happening again are extremely low but somehow I find myself not wanting to make stuff in advance. Once, I put a whole pan of paneer mutter in the microwave to warm and it slipped from my hands and broke! I swear I'm not making these things up. They have happened and you can imagine how it has totally given my confidence a hit. To add to this, my mom has always been the ultimate hostess growing up and even now. I always have her example of throwing parties where people talk about her cooking for days afterwards. I think I just have to start small again and slowly build my confidence. Anu- I can understand why you would feel hassled after these mishaps but things like that happen! You've already hit upon the solution which is to start small and take baby steps. You are such a good hostess! I love the "new Artisan brad in 5 minutes" book. I have tried the Naan recipe and one more bread (which I don't remember now) but they both came out awesome! I am not a big fan of non-fiction but the book Bringing up Bebe was something I enjoyed a lot recently. Currently I am also reading and enjoying another non-fiction, Almond Eyes, Lotus Feet: Indian Traditions in Beauty and Health. The fiction I am reading is Elizabeth Gilbert's "Signature of All Things". I would definitely recommend both these books. For me it is rather the other way around- I'm a huge fan of non-fiction but lately have been enjoying more fiction that I used to. Thanks for the great book recommendations! Aww- it makes me SO happy to know that you find some ideas here, Kavs! A lovely post as always, Nupur. I agree with you that the The Novel Cure sounds depressing - I hate making a syndrome or malady out of everything that then needs to be cured! I am reading a wonderful non fiction book right now called Empire Antarctica by Gavin Francis, a Scottish doctor who spent 14 months (including an Antarctic winter) in Antarctica as a research station doctor. It is beautifully written and riveting, and his descriptions of the Emperor Penguins who lay and incubate their eggs in the most inhospitably brutal conditions imaginable make for fascinating reading. I highly recommend it. Gosh, Kamini, that sounds like an incredible book- I will look for it! When I need a book review I always always turnn to your page for help Nupur. Hope you had an amazing Diwali, How old is yout little one? How is Dale? Its a great idea to adapt the idea of a no knead naan from the artisan bread book!!! I should try this one out soon for a weeknight dinner! Shobha- how lovely to see you here! My little one is 2 now. Our Dale unfortunately passed away of old age at the beginning of this year. Since then, we've adopted a new puppy called Duncan. The no knead naan is definitely worth a try- let me know if the recipe works for you! Nupur as luck would have it my Father and I were looking for a naan recipe to try recently. Will use yours. I don't read much non- fiction but two that I have read are biographies. One about LM Alcott by Susan Cheever. The other was semi- biographical- the Paris wife. I've been flicking through some art books too- one of them was about grandma Moses paintings. Also am reading a book about what else- calcutta by Krishna Dutta . Arpita- I hope you're having a great time with your folks- if you try the naan recipe, let us know how it works for you. I've heard other friends say good things about The Paris Wife. I love the title. :) And a no-knead naan sounds like a fabulous recipe to try. I am embarrassed to say I haven't been reading much these days-- fiction or non-fiction-- because of time but I have Obama's autobiography now sitting on my bedside table waiting for me to just open it. I am currently reading Sandberg's Lean in (cannot believe I waited so long to read this one!). So far I am loving it and I totally get and agree to what she is saying in the book. I am with you on popularizing indian food. Few months back some of my groupmates were visiting from Prague and I took them to an indian grocery store because they were so interested in knowing about different ingredients and wanted to take back some with them to try at home! Aww- how lovely to introduce friends to some of your favorite foods! Prague is such a gorgeous place BTW- I visited many years ago and it was like walking into a postcard. oh, and I HAVE to check out understanding comics! I am a huge huge calvin and hobbes fan (have the entire collection and plus some additional books on it!). In one of the books, watterson explains his thought process on how he created the strip..it is so interesting to know about what goes behind creating comics. I think you'll totally enjoy that book, Neha! On a separate note from my earlier comment, I'm reading "A Constellation of Vital Phenomena" by Anthony Marra and I think you'll really like this one Nupur. Look it up. Very interesting, Anu- thanks for the reco! 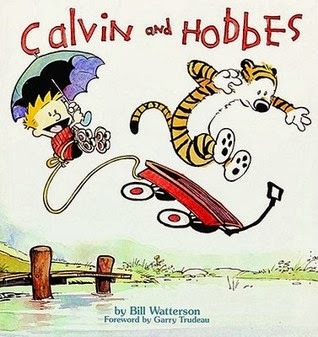 Calvin & Hobbes & Understanding Comics is a perfect pairing! I really think Understanding Comics could use a serious update, but it is such a good introductory book on the topic. It's just that so much has changed since 1995! I'm also very intrigued by A Novel Cure. It sounds so good! Ive been meaning to try making naan and might give it a shot this weekend. I've read a lot of recipes that let the dough sit for just an hour - I feel like I'm under the gun from that point on to make the naan or it will turn into pizza dough. Your recipe here says 2 hrs, so not much to fear I suppose? Here, the dough rises for 2 hours at room temp, then is transferred to the fridge and can sit there for any length of time up to a few days before you make the naan. I've updated the recipe to clarify this bit. Hope this helps. You my dear Nupur have the best readable interesting informative blog. Thank you. I love Understanding Comics even though I never read many in the past. I'm more appreciative of the genre now -- I especially like memoirs drawn like comic books. That bread book sounds fantastic and very practical.